Homestead Survival - Emergency ideas - No. 1 - Canning Homemade! 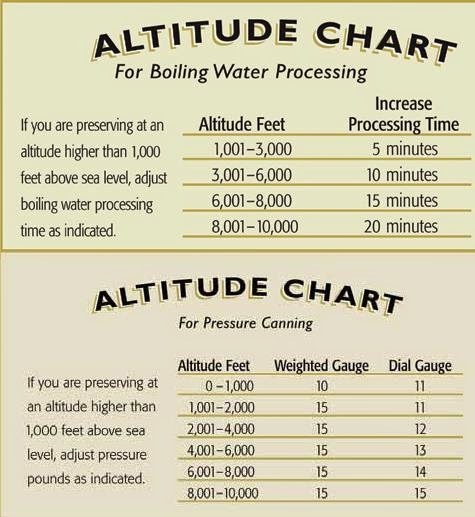 Over the next few months I am going to look at some of the ways that we can become more prepared not just for our canning and food but in the emergency situation. Since we have these pantries that are filled with food stuff it might be good to add a few other necessities so that when we are put in a "survival" situation everything is at our reach. Now you all know that I am in no way a prepper. Don't believe in guns, do not have an aggressive bone in my body, but I want to make sure just like my friend Laurie, that I'm prepared for power outages and for me here in California, earthquakes. Laurie posted this amazing idea which I am adopting as part of my small emergency section in my pantry. 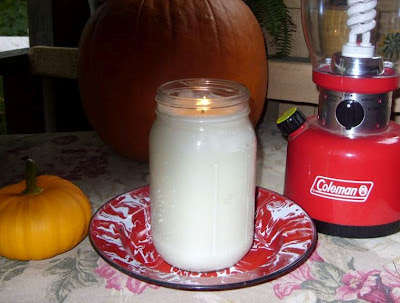 Her DIY project is an emergency candle made from a ball jar, a wick, and believe it or not Crisco. Not only is it an inexpensive idea it is primarily made to be used for those disaster situations where you need many hours of candle light. Items to make the candle: Quart or any size jar - This is where those other commercial jars with wide mouths come in handy (recycle)! Wicks - available on ESTY, 70 wicks for $5.00. or you can find them at craft stores. You will need one long enough for your size jar. Quarts use a 6" wick. Last, Crisco! You can use any of the generic types of Crisco from Wally World or other discount stores to save money. Spoon 4 cups (if you are using a quart jar) of the Crisco into a glass container and just soften in the microwave. Place the wick in the jar and tape the top of the wick to the edge while you slowly "dump" the Crisco into the jar until its full leaving about 1/4" headspace. Wipe up the jar for any spillage, add your lid and ring and store with your other canned goods until it's needed. From Laurie: Will burn for 100+ Hours, one of the reasons I Love this idea is because of the strength of the canning jar...no worries about cracking, they do not burn black at all, very clean and noooo smell, I have tested mine it burns slow and cool...actually better and cooler than purchased candles. Nothing to it..really, cause I'm not that talented! ...Cost.....$1.50 YAY!! Thank you Laurie for being such an inspiration to me and giving me this great project for not only my home but other in my family! SB Canning!